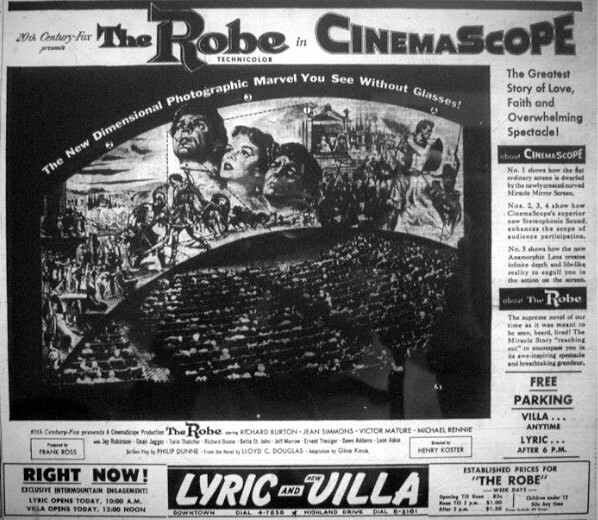 Here's an example of a CinemaScope frame from THE ROBE, the first film shot in that process. 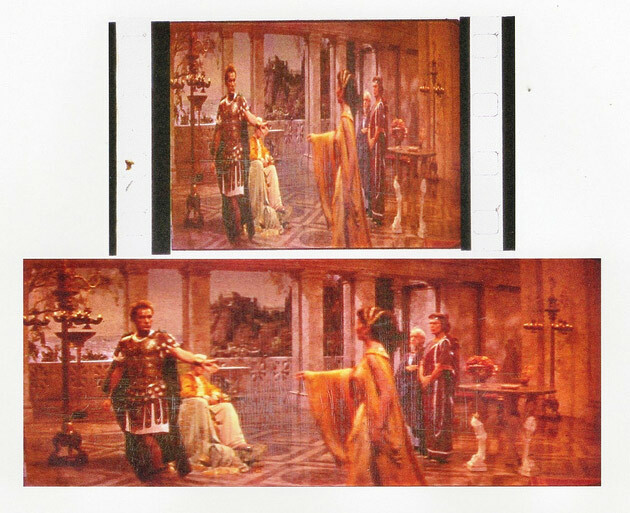 The top image is a compressed 35mm frame and below is the same frame projected uncompressed with a special projection lens. I always think it's cool that a film from the PEPLUM genre was the first 'scope production in cinematic history. Below is an add selling the CinemaScope film experience along with THE ROBE.